Whomp whomp. There're no Eric Cartmen for sale. Well, here's that fat little kid Cartman. 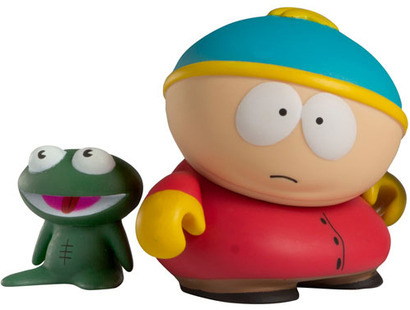 He comes with his beloved Clyde Frog and isn't a hard-to-get figure, but of course is essential to the set!